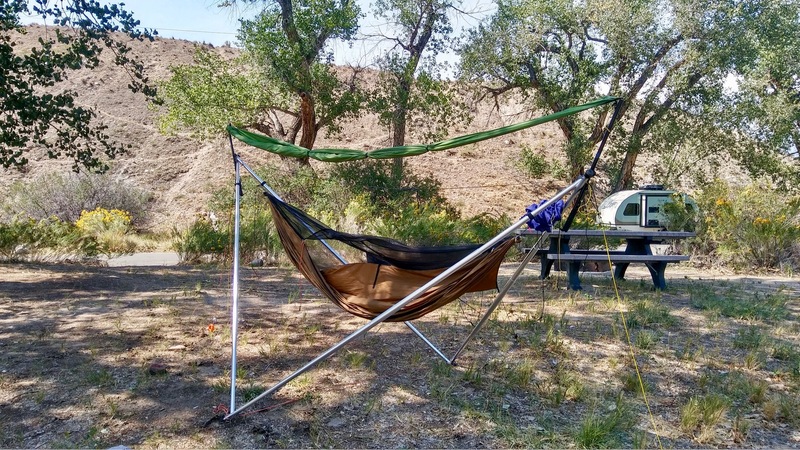 A persistent criticism of our Tensa4 stand is that, while it does accommodate most tarps, it doesn’t accommodate them well enough. 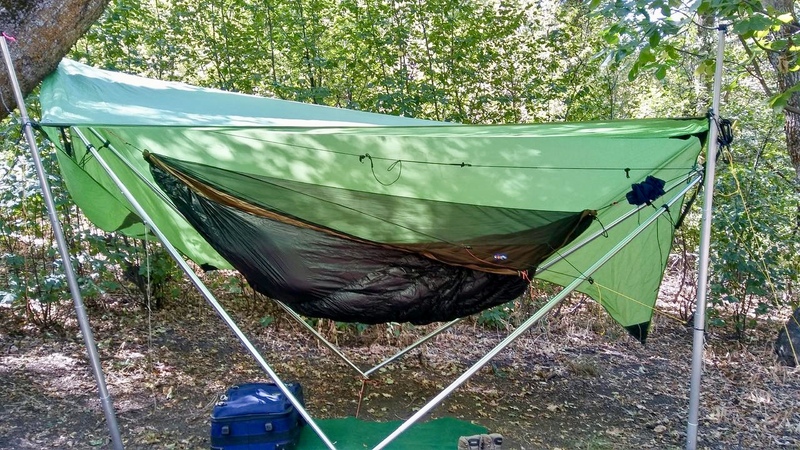 Specifically, while tarps up to 11′ fit well, longer tarps require some ingenuity to tension properly. Regardless of tarp length, the height of the tarp is low. Low tarps still afford more crouching space than 2-3 person tents, and are warmer, but don’t allow standing headroom. 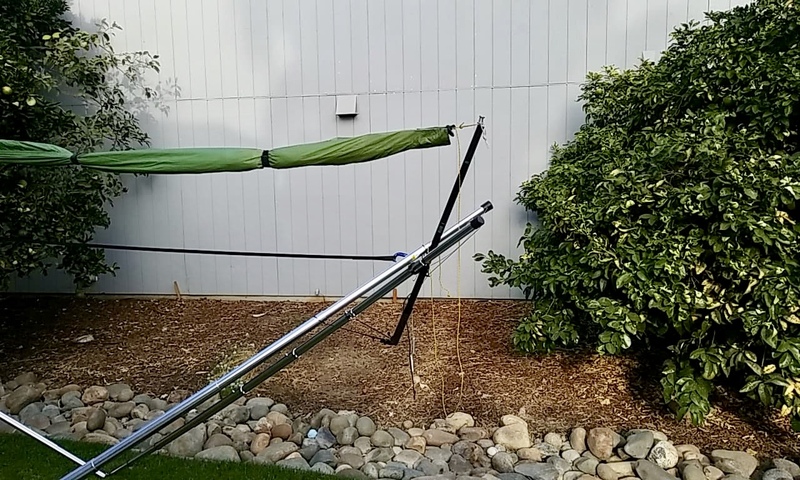 Some customers have taken to packing stand-alone tarp support poles in address of this, which seems to us more than a gentle nudge to do better. We have been steadily at work on addressing this. 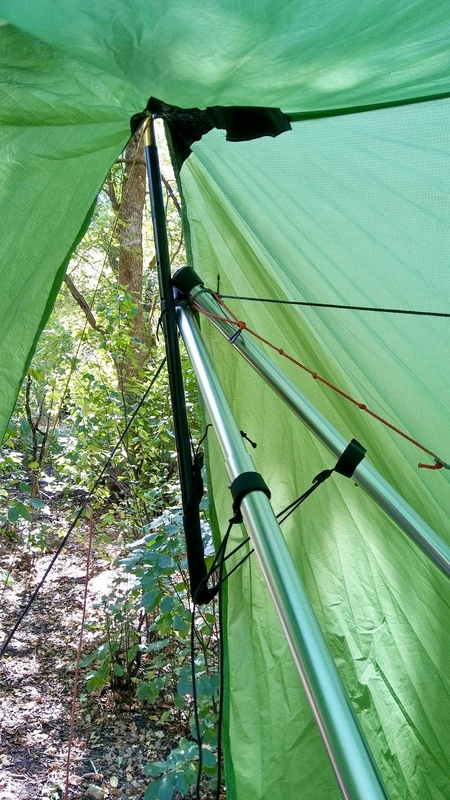 We’re now in late production prototyping of the tarp extensions shown in use with a 12′ hex tarp in the photos below. We hope to have this shipping early 2019. Yes, it will be fully retro-fittable to previous product. If it proves popular enough, we may bundle it with the stand by default.